This group develops innovative tools for understanding and predicting geochemical processes, which underpin sustainable management of waste rock dumps, mineral processing tailings and final voids. Understanding the geochemical properties of mining waste and how they transform over time is the key to successful mine closure and rehabilitation. The group also seeks opportunities for reprocessing and/or utilising mining waste in a wide range of other applications. The release of salts from spoil piles affects surface and groundwater quality particularly the quality of water in final voids. Current hydrogeochemical salt balance models either assume that the total amount of inherent salts in spoils will be released over time or often predict increasing project water salinity into the future based on site monitoring data from electrical conductivity measurements. The closure and rehabilitation of spoil piles and final voids based on such model outputs can be overly conservative, expensive and uncertain. With support from ACARP (project C25039-Long term salt generation from coal spoils) and in-kind contributions from The University of Queensland, a medium scale (1-1.5 tonnes) spoil leaching test facility was set up in 2016 at UQ’s property in Pinjarra Hills to bridge the gap between small scale laboratory tests and field monitoring of real size spoil piles. For the first time in Australia, an experimental facility has established more realistic decay curves of salt release from coal spoil over time. The facility, has produced leaching results for a small number of different spoil types in controlled moisture conditions that can be used for calibration of water quality predictive models. There are three approaches to predicting seepage water quality: 1) field monitoring and tracer techniques such as stable isotopes, 2) laboratory column leaching experiments; and 3) geochemical modelling. A column study only shows how a small sample of tailings materials behaves over time. The actual field environmental conditions can be different. A number of factors need to be considered including; water contact - fraction of tailings flushed by unsaturated flow; moisture content effect on oxidation rate; particle size effect on oxidation rate; specific mineral concentration; surface area of minerals - passivation effects; temperature; oxygen and CO2 concentrations in tailings; and above all bacterial activity. In the geochemical modelling approach, again, in the absence of enough data for parameters like O2 and CO2 partial pressure, bacterial activity (oxygen pathway versus iron pathway of oxidation), mineral surface density, secondary mineral precipitation and coatings, assumptions have to be made, which may result in considerable uncertainties. Through case studies, we use a combination of methods for unravelling sources and pathways of contaminants through the TSF and surrounding surface and groundwater, and predicting water quality at closure. 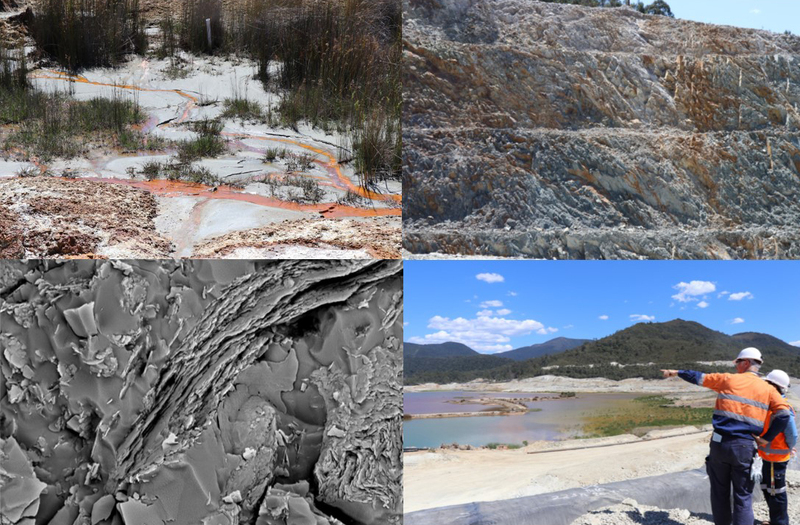 A case study is one the largest active metal mines in Australia, with a tailings storage facility of ~12 km2 in area, have accumulated a large data-set of seepage and groundwater chemistry through field monitoring, including those sampled by the authors. Porphyry copper deposits of the Andean rim located at high altitude require the transport of flotation tailings to lower elevations for their final storage due to lack of storage area within the Andean Main Chain and the need for geotechnical safe impoundments in seismic active part of the South American Continent. Transport of tailings may affect physical characteristics and stability issues at the tailings storage facility (TSF), as well as the liberation of elements of environmental concern and valuable elements recovery. Aspects such as the contribution of the tailings transport to increased reactivity (elemental leaching), change in granulometry and consequent slurry behaviour have not been studied in detail. The main objective of this study was to investigate mineralogical and geochemical controls on long-distance transport of tailings that may affect their main characteristics such as the particle size distribution, rheology of tailings and the chemistry of associated water. 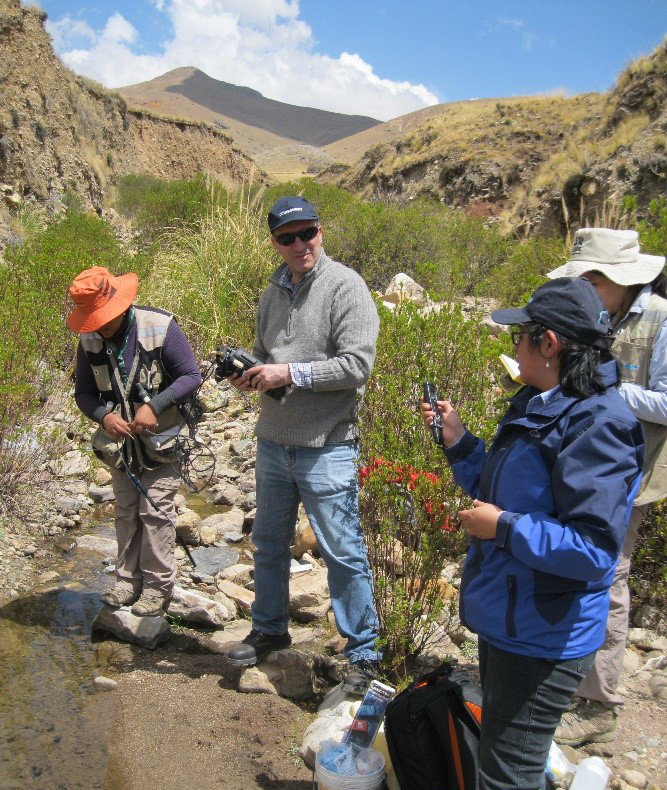 The aim of this research was to provide technical support to Geological Mining and Metallurgical Institute (INGEMMET) as they undertook a targeted geochemical investigation at abandoned mines in the Puno region of Peru, a region which lies within the catchment of Lake Titicaca. 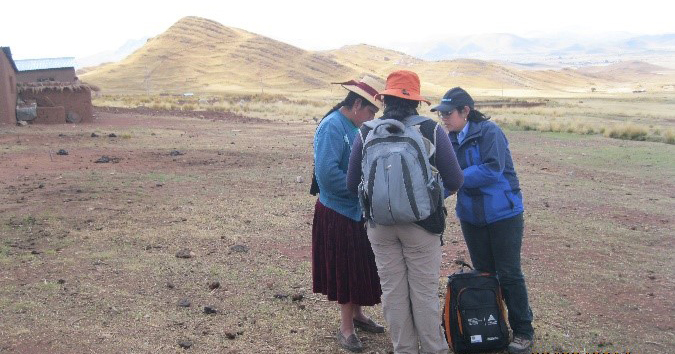 Through this project, SMI researchers were able to provide guidance on the monitoring program as well as oversight for fieldwork. They also supported INGEMMET with presentation of a multi-departmental and stakeholder workshop on abandoned mines. Designer Tailings is a science and evidence-based methodology for generating alternate operating options for the desired environmental outcomes. Through a detailed knowledge of the ore properties and processing conditions, and a mathematical simulation of the processing operations, Designer Tailings can predict the likely nature of the tailings generated, potential environmental liabilities and/or opportunities for reuse, recycling and reprocessing tailings. We have been able, for example, to follow the geochemical pathways of arsenic from source ore to the receiving environments for a porphyry copper deposit. The framework provides a means for integrating the expertise of the relevant engineering and scientific experts (geology, mineral processing, environmental scientists, and operation managers) to identify holistic operating options for improved tailings outcomes. The environmental implications of each option are compared by identifying the relative differences between the options and the Base Case, using indicators such as water quality. The methodology can be used at any phase of an operation’s life cycle: development, operations and closure planning.